Be social, connect with us! We were sorry to hear from Kilmarnock Concert Brass about the passing of Jack Malpass, their friend and band member, passed away peacefully at Crosshouse Hospital in Kilmarnock with family around him. He will be sadly missed by all for his enthusiasm, kind heart and passion for music. He taught many of the players in Ayrshire during his time at Loudoun Youth, which he founded. 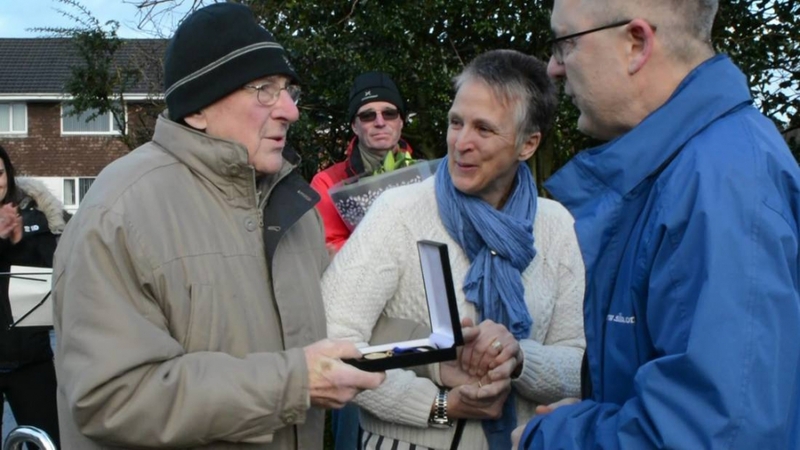 In December 2018 when he was very ill, Jack was presented with his 50 year life Membership Medal by John Boax on behalf of the Scottish Brass Band Association surrounded by members of Kilmarnock Brass. Our thoughts are with his wife, Morag, and family, Diane, Gordon, Diane, Amy and Andrew at this sad time. Rest peacefully Jack. The funeral service for Jack Malpass will be at Masonhill Crematorium at 1:15 on 9th April. The family have have intimate that no flowers should be laid.